RV Park not located behind security gates. However, the common route takes you onto Fort Benning at Access Point #2, through the post, and off the post at Access Point #8. ==== Take I-185 south to Columbus, GA. Follow the Interstate through Columbus to Fort Benning Access Point #2. At Ft Benning, turn right onto First Division road. Keep straight on Dixie road when First Division road bears right at the golf course. Follow Dixie road to Siteseeing road. Turn left on Siteseeing road to Sunshine road. Turn right on Sunshine road, across Eddy Bridge, to 101st Airborne Division road. Turn left on 101st Airborne Division road, and drive for approximately 2 miles. Turn left on Uchee Creek road and the campground/marina will be one mile ahead. Check-in at the Country Store. ==== Possible to access the RV Park without going through Ft. Benning by using SR-165 from US-431. 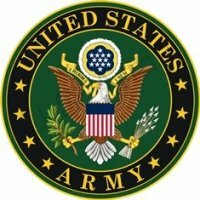 Active, National Guard, Reservists, Retired, 100% DAV, DoD Civilians at Fort Benning. Accepted for 2-night minimum. Must cancel 14 days in advance for refund. Allowed in the RV Park and select cabins with usual leash and clean-up rules. No outside kennels allowed. Prices vary depending on rank and type of site/facility. Lowest rates are for active duty E5 and below. You can reserve a site for 30 days and if space available another 30 days then you must leave for 7 days. AD and TDY with approval of CO can stay in campground for 6 months and then they must leave. NO HOMESTEADING PERMITTED. Lodging rates vary based on type of accommodation. All back-in sites are a minimum of 65 feet deep; pull thrus are longer. Extra long RV sites are $3 more per night. Discount available for Golden Age Cards. 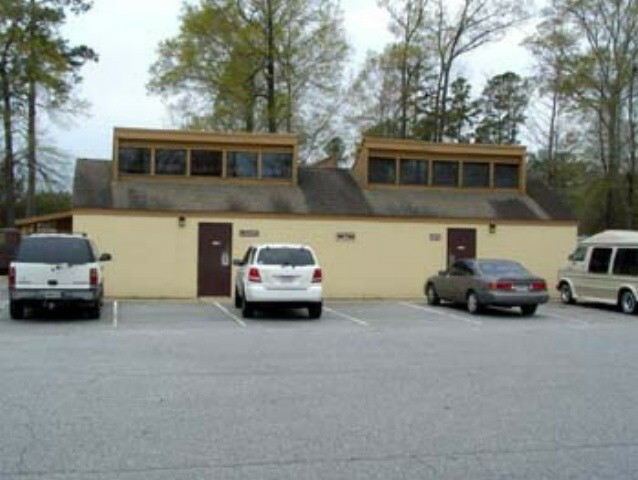 Grill, Meeting Room, Basketball & Volleyball Courts, Softball Field, Golf Cart Rentals, Propane, Archery Range, Paint ball. Must be registered with the Provost Marshall within 72 hours. On the southwestern side of Fort Benning is a place where trees grow tall and the water of the inviting Chattahoochee River flows deep and cool. 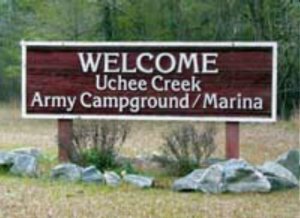 This is Uchee Creek Army Campground and Marina — a place where active duty and retired military personnel, DOD civilians, their families and other eligible personnel can spend a weekend or an entire vacation enjoying the natural beauty of the scenic area. 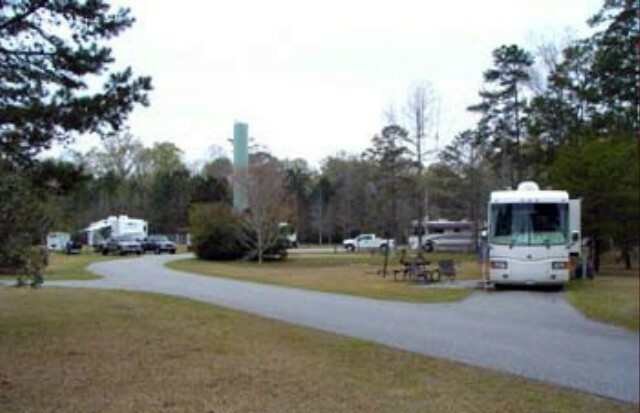 Fort Benning’s Uchee Creek Army Campground and Marina offers the amenities expected from today’s RV traveler. 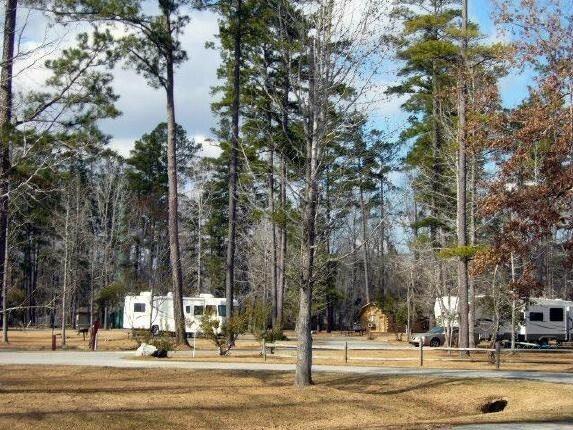 We offer full-service RV sites and we're open year round with a manager onsite at all times. 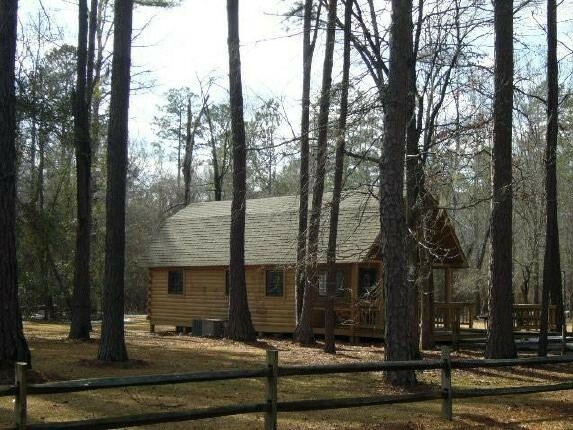 Uchee Creek also has 42 log cabins secluded under the shade of the Alabama pines . The cabins come in four sizes and are furnished with cooking and dining utensils, stove, refrigerator, heat and air conditioning, shower, lavatory facilities, cable TV and phones (the different types of cabins offered are listed on the bottom of this page). Many come to Uchee Creek for its beautiful marina that offers a boat launching ramp, boat slips, docking facilities, gas, water, and electrical hookups. In addition we also offer rentals of pontoon boats, several types of fishing boats, bass boats and canoes. 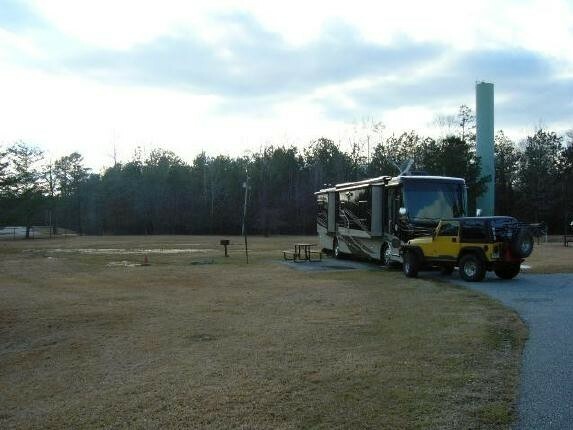 We now offer a new RV Rally site and Activity Center. The Activity Center at the RV rally site features a kitchen with stoves, refrigerators, ice machines, large screen TV's and seating accommodations for up to 500 people. An outdoor picnic/barbecue area with two super cooker grills and 20 picnic tables. 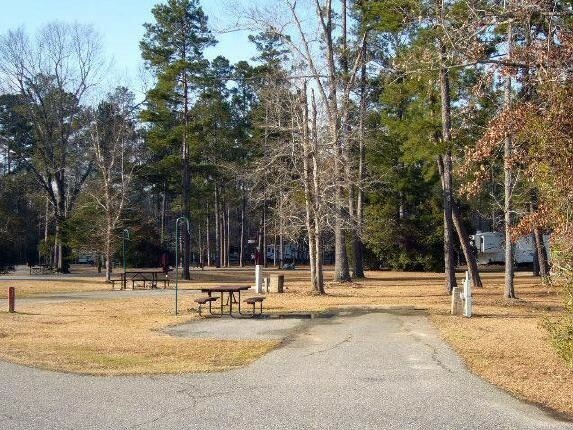 The recreational vehicle rally site can accommodate up to 250 motor coaches (dry camping) with trail vehicles making it the perfect place for rallies. For those who enjoy land more than water, Uchee Creek has an archery range, basketball and volleyball courts, a softball field, picnic pavilions, playground equipment and shuffleboard courts. For special occasions, friends and family can gather at our lodge and relax before the warmth of the building’s fireplace. The recently renovated lodge seats up to 150 people and includes a refrigerator, ice maker, range, tables, chairs, and smoker/cooker barbecue grills. The lodge is perfect for unit parties. Stayed for three nights in a small Class C. One of the nicest parks we have stayed in recently. Check in was easy and within minutes we were able to find our site #39. There was a tree near the sight unfortunately it was not on the sunny side of the RV. All hook ups are next to each other and sewer is on back side. No dog park in campground however there are plenty of trails and roads where walking Daisy was easy. That said, need to be aware that wildlife does show up in AM/PM...deer and understand an armadillo or two (which we did not see). 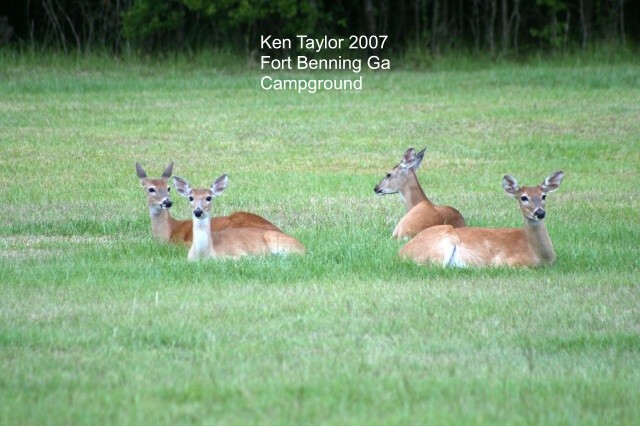 Campground is about 4 miles from back gate of Ft Benning and the gate is open 24/7. Showers and bathrooms were very clean. Verizon phone signal was weak but doable and if there is wifi we couldn't get signal. They are near a lake and river so fishing and pontoon boats are available for rent. We used opportunity to visit a niece in Auburn which was about 45 minutes away...just need to remember time zone change from eastern back to central. We came up from the south so as shown in the directions section, we came up US 431 to AL 165 to 101st Airborne Division Road and followed the signs. We did go on Ft Benning which put us across the bridge that is being repaired and is a controlled one lane. Will be back..might even try one of the chalets next time. Stayed for a full month. It was great. The staff was always friendly, the kids loved the pool and I felt safe going on runs and such alone. The WiFi should not even be advertised because it really doesn’t work. Loved the pool. Will stay again. One of the better RV family campgrounds we have stayed in. Really big sites, wifi spotty but a really good staff. This is an awesome campground. Nice pull thru’s right off the road, was pretty quite Sunday and Monday, couple kids running thru sights, the normal stuff. Really no access to lake, other than by boat. Deer grazing in the early morning and early evening. Would highly recommend a stay at Uchee lake campgrounds, Army did well. Second time staying here and it was another nice stay. Bridge from the post out the back gate is under construction, but your RV will fit...just go as slow as you are comfortable. Quiet during the week and only a little noise from kids on the weekend. Plenty of room between sites. Utilities worked well and were located in a great spot for my rig. I had a back-in this time and went all the way back to the tires almost on the concrete block. Some sites are open and others are well treed. No grill at my site, but most site have one. Wifi was fine late at night and during the week when fewer people were using it. It is over a 30 min drive to Columbus whether you go thru the post or the long way around. Andersonville National Military Cemetary/POW museum/historic site is over 90 min away, but worth the drive. This was our first stay at this Fam Camp. 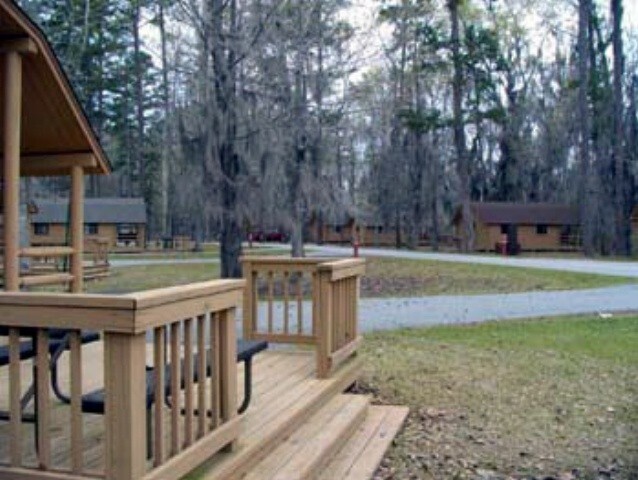 The spaces are nice and large and the camp is quite well maintained. The pool does not open before Memorial Day and it was HOT here. It would have been wonderful it it had been open. You cannot send or receive mail here. But you can drive onto the base and send mail from there. You and your kids can ride bikes or walk your dogs throughout the park without worry. We had no trouble with our satellite dish - but this area is not AT&T friendly. Nice museums in the area as well as a couple other sites to see. About 2.5 hours to Atlanta. Fire pits in most of the sites. Mosquitoes and ticks. If you walk in the woods - be aware there are snakes and there are gators near the water. We've been there done that now...... probably won't stay here again. It was fine, but you can only ride or walk around the park so many times. A month here was just too long without the pool or other activities at the park. Directions say use base access point #2. There are no signs that tell you which gate is what access point. Gate guard at the end of I-185 said that is gate #3. Regardless, if you come in I-185, it is very easy to find the park and drive thru the base even in a big rig. Once you pass the big water tower (it will be on your right) you go down a small hill and will see 3 crosswalk signs. Just past the 3rd sign, you will turn left. There are signs to the campground, but some give zero warning of an impending turn. This was one with next to no notice of a turn. The other left turn with next to no warning is the final turn onto the marina/campground road. Immediately after passing the 2nd solar panel farm (this is out the back gate), you turn left to the marina/park. Easy check in at the country store. I had an older pull thru and had to adjust a few times to make sure the slides would extend and not hit the trees. If I return here, I will ask for a back-in out in the open. I just don't like climbing up on the roof and sweeping off the slides. The newer pull thrus appear to be longer and wider, but not tree covered. This place is HUGE!! No fenced dog area, but there are so many roads to walk the dog, it is not a problem. Just remember to carry your pick-up bags, because the doggy comfort stations were empty. Water pressure was very good. Electrical and cable worked well. Wifi was better than I expected. If ever in the area again, I would definitely stay here. We stayed overnight on our way home to N GA mtns. Very impressed. Nice big sites, well maintained. We plan on going back in the spring for a week. This was our first visit to this Famcamp and we plan on visiting again. We camped in our 39ft 5th wheel and had no problems getting in or out of the park. We were in site 28 and it was plenty large enough for our rig. Site 28 is next to the pool and up and across from the bathhouse/laundry room. The park was very clean and the staff was helpful and friendly. The wifi was hit or miss the entire time of our visit, but for our short stay we didn't miss it very much. The commissary and PX are located on the main post and are very well stocked. If you visit this park you must visit the Infantry Museum. I can't say too much bad about this place but do have a couple of problems. We stayed in one of the Executive Chalets. We loved the chalet. However, there was no phone service at all and the internet was hit and miss, mostly miss. We were told that we could use our phones if we had Verizon. Other than that nothing works. Our AT&T didn't work any where in the park. We had to drive up almost to the main post road in order to get a signal. The other thing is the internet. The first couple of days we had service in the morning and nothing at night. Then the last 4 days we had no service at all. They put in all those new routers around the park a few years ago and I know they worked at one time. We had one on a pole across the street from our chalet. Another complaint is when I called a couple months ago to make reservations the person told me that the policy is a maximum of 7 nights, nothing more. We wanted to stay 10 nights. When we checked in I asked that person and she said there is no rule that says you can only stay 7 nights. If the chalet was available at the time we could have stayed 10 nights. Now we know. On Easter Sunday at the chalet next to us, a truck and large van backed in and began unloading. I thought at first a bunch of college students were having a spring break party. I watched them unload for a while until I got tired. They unloaded at least 6 large military duffle bags, 2 large backpacks, 2 very large chests that took 2 of them to carry and several cases that at first I thought were musical instrument cases. But they turned out to be rifle cases. This was happening at the next two chalets also. The next day our question of who are the guys were answered. When we came home from our outing for the day, 7 or 8 of them in uniform were in the yard and had ropes tied around most of the trees and were throw hatchets at the trees. They had set up a bivouac area in a recreational residential area. The next day I found out about the rifles. They got out of the vehicles with weapons and ammo cans. Don't get me wrong, they didn't cause any trouble. I just can't understand why something like this could happen. I asked at the office when I checked out and the 3 ladies there were surprised at what I was telling them. I told them if I wanted to live in a military bivouac area I could probably get something a little cheaper than the 140 dollars I was paying here. With all this said, we had a wonderful 7 nights and plan to do it again but maybe 10 nights. Outstanding park. Probably the best park we have ever stayed in. Agree with the other positive comments. Staff and Host very friendly and accommodating. Host said it is rarely crowed except on some summer weekend. They have long term sites avail. Earlier post mentioned the C130s. They are dropping students from the Airborne School over at Fryar Drop Zone which is about 10 minutes away. If you hear a 130, head that way (Google Maps will bring it up but don't take the first suggested turn on a dirt road...stay on the paved and follow the signs). Guests are welcome. Stayed in 40'MH with toad. Pull thru sites best I've seen. Well planed and laid out. $22 per nite with Golden Age pass. (27 w/o). From main post, road was washed out, had to drive around entire air field. Dog park would have been nice to have. Also sign off the main road for the pull thru area would have also been good. Would stay longer next time, with pull thru site. Really nice place. 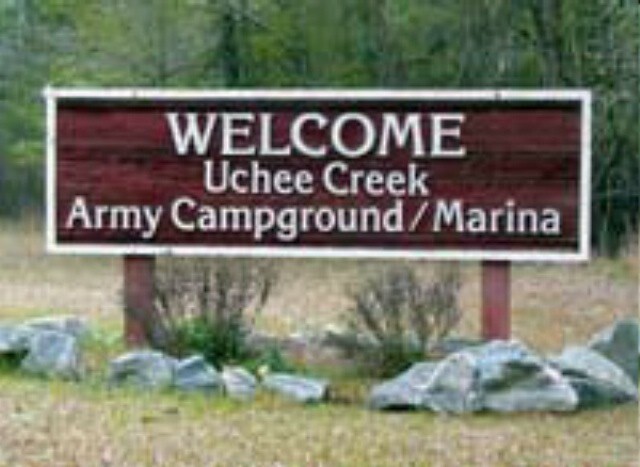 We stayed at Uchee Creek in a 40ft motorhome with a 15 ft. trailer in the new 400-421 section of the campground. These pull throughs are HUGE. I could have parked 2 motorhomes end to end that they would have fit. The new section is very quiet and the hookups are all new and problem free. We had crystal clear Dish satellite reception from our roof mounted antenna. I can not comment on the older spots, they looked ok when we drove through, but the 400-421 section had the best pull throughs I have ever seen. Keep in mind that the main post (PX and Commissary) are about 40 mins drive. Also, Uchee is in the training area so there were occasional Soldiers road marching on the roads outside the campground, rifle and machine gun fire in the distance and nearly constant C130s flying very low over head. Uchee is in the landing path of the airfield on Benning. This was a very nice campground with everything you could need. All sites are full hook ups 50amp, and cable hook up with 58 channels! We came from Alabama so we didn't need to drive through the whole base. Also information here is incorrect and outdated so I will update: first the address is all wrong, here's the address your GPS will take you exactly to this RV park: 5 Uchee Creek Rd, Fort Mitchell, AL 36856. Also prices are as follows; Prices are based on rank (retired or active), E-5 and below= $23/$138/$552, Tent=$8/$48, E-6 and above= $24/$144/$576, Tent=$9/$54. They also have 75' pull through sites for $1 additional per night for E-5 and below and $3 additional for E-5 and above. Golden age/access pass is $5 discount. (Editor note: Website updated). We called as they were closing the office and requested a pull thru for one night. They told us no problem, gave us the gate code and told us to check in at Host #2. We arrived around 2130 and the host checked out ID card and gave us a form to fill which he collected to turn into the office. Easy to locate pull thru even in the dark. Noted this trip a lot of construction materials at the comfort station across from the swimming pool. Since we didn't use the facility and you still have to do a rating we gave we gave it 5. 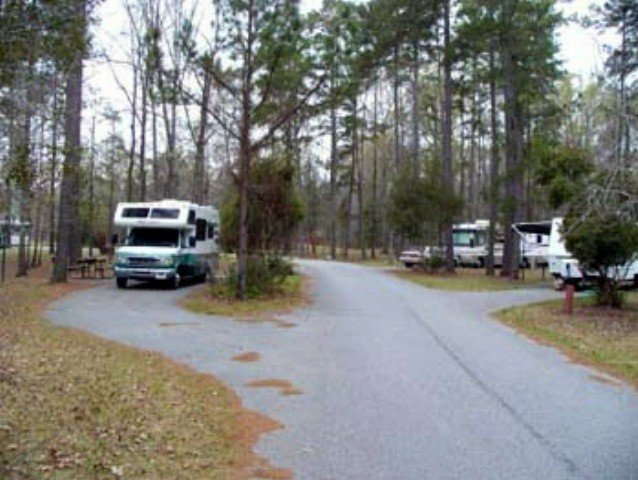 We enjoy this campground in transition sometimes, but also as a great place just to relax and enjoy the area. High marks to Petra who checked us out the next morning. She is very pleasant lady and and a pleasure to work with. We arrived in a 32' motorhome with a tow. We were able to make last minute reservations for July 4th time as traveling through area. Pull through sites along road are well spaced. We drove the park but did not use any amenities. Looked nice for family visits. We did visit the National Infantry Museum which was one of the best museums we have ever visited. Highly recommend it for everyone!! Will return when we have more time to stay. Nice recreation area. Had a very nice pull-thru spot in the outer loop. 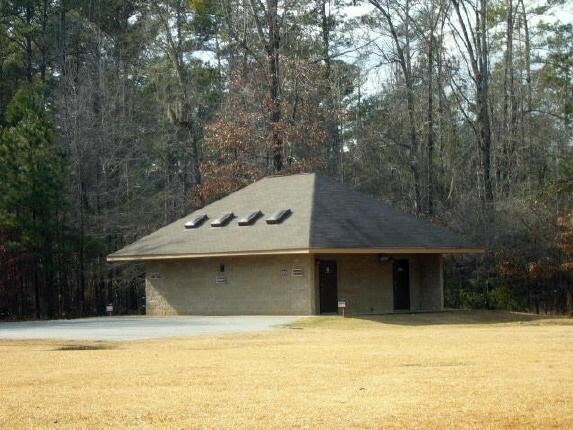 Lots available to do there--boat rental, fishing, swimming pool, etc. If there is wifi, we could never access it. Even cell service was weak where our spot was. Did not use the shower or laundry facilities but checked on the ones located near our spot and it appeared everything was in working order. Played golf on post. The golf course had 3 nine-hole courses. Course was in good condition. Would return (but would wait until the fall or early spring). It was extremely hot during this time of year! We had originally planned to stay 4 nights, but had to leave early. 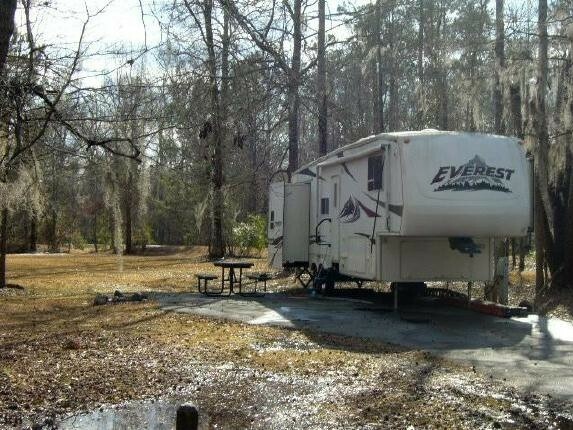 This is a beautiful campground in the woods, plenty of space between sites and great fishing. 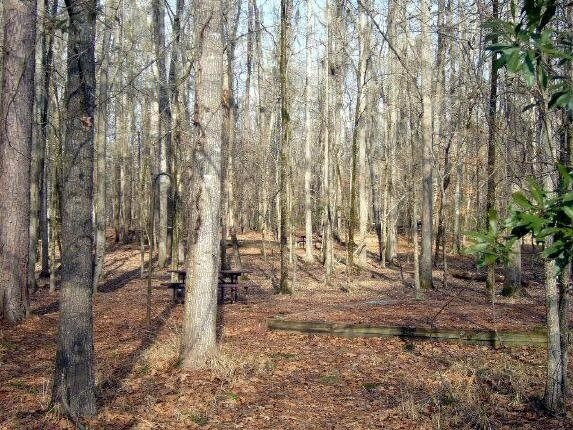 Unlike most campgrounds they have there own section for permanent party further back in the woods. You can't fault the staff who do and excellent job but some issues need attention. 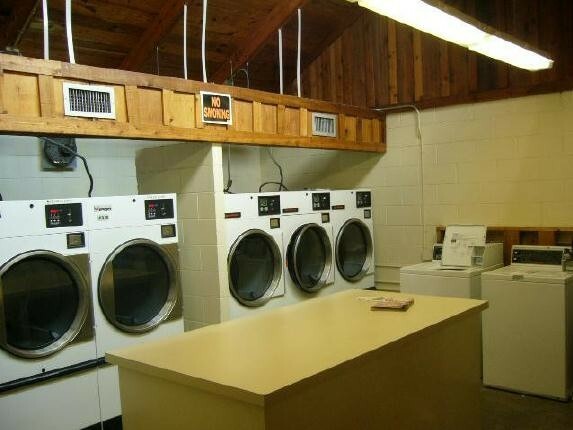 The laundry facility had 6 washers and 3 dryers working with only 1 of the 3 worth a hoot! Internet was spotty and so we gave up. Would like to of seen the pool remain open past 1800 for us older folks. We camped in a 26 foot travel trailer and entered off of Highway 165. Notified the campground that we would be arriving late and they had our information with site # and gate code taped near the door, and informed us to check in at our convenience the the next day which was nice. The phone numbers above are correct the phone numbers provided on my email confirmation were not. Very nice facility. Very clean, easy pull through sites, well run EXCEPT markings. Markings being the signage into the campground. After checking in and on your way to your campsite no signs indicate the turn to the entrance. Look for the signs that indicate Parking. This is in the deep woods so satellite reception is a little spotty. Good news is there are a couple of OTA stations.